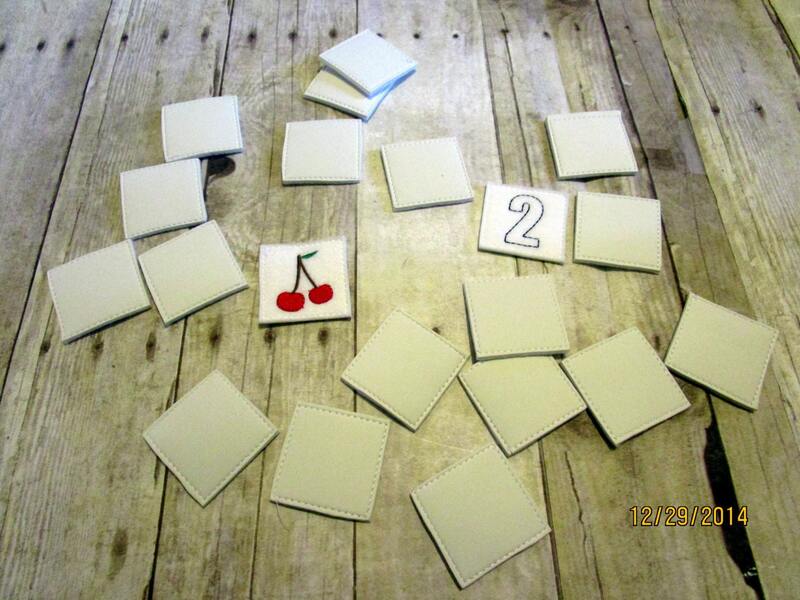 Felt and vinyl, machine stitched numbers memory game. 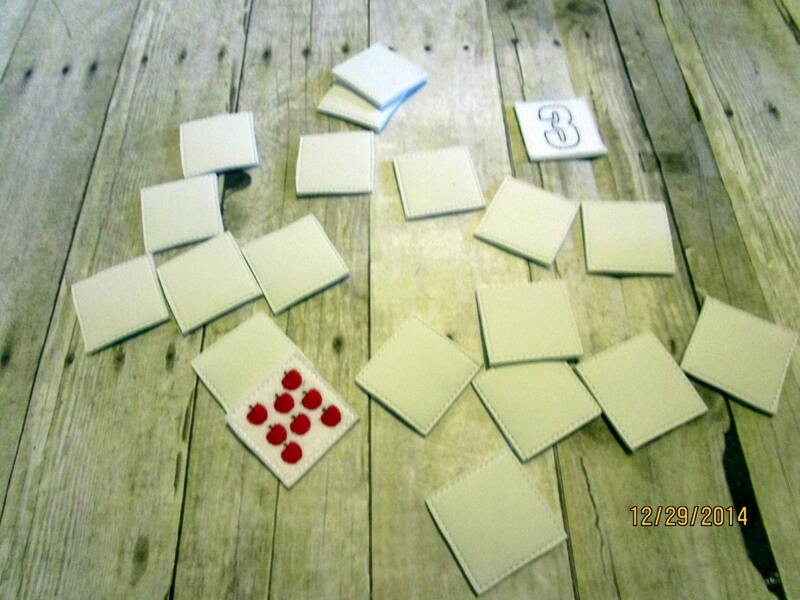 Played just like the old fashion memory game. Turn all the pieces face down. Turn over 2 pieces, if the number matches the total fruit you keep them and it's the next person's turn. If they do not match, turn them back face down and it's the next person's turn. Person with the most matches wins. 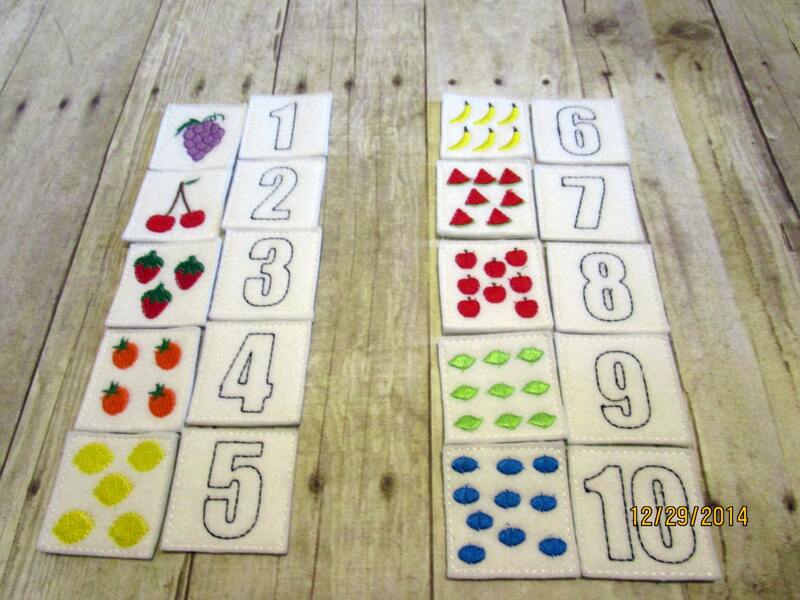 Your little one can also practice counting, number recognition, and even fruit names while playing this game. This item is a great gift for preschoolers, elementary students, and teachers. This item is created after payment is received. Ships within 10 business days after payment is received.